Hey Tampa Bay, Alex here with a weekly update on fun Tampa Bay area events happening around the area over the weekend. On Saturday, July 10, from 6-11pm, the City of Tarpon Springs will present Night in the Islands – a free event on the world famous Sponge Docks. Enjoy Greek music, dancin g, dining and other activities under the stars at the Sponge Docks. The event features live music by Ellada, an exciting Greek band composed of three of the best Greek musicians in the state. Ellada will perform outside on Dodecanese Blvd (the Sponge Docks) between Hope and Athens streets from 7 to 11pm. The band will perform nisiotika, the lively traditional music of the Greek islands, as well as old and new Greek favorites. Ellada includes George Soffos, bouzouki; Dino Theofilos, keyboard; and Elias Poulos, vocals. Prior to the main event, there will be live Greek music between 4 and 6pm on Dodecanese Blvd. at Riverwalk, west of Hope Street. 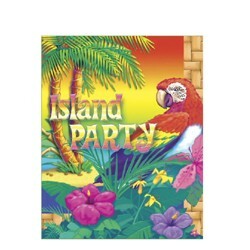 Night in the Islands also will be offered Saturdays, August 7, September 18, October 2, and November 6, 2010. Mark your calendar and make this a regular destination! The Tampa Bay History Center presents "Obscured by Time: The Magic of Florida", featuring the art of Hermann Trappman, opening Saturday, July 10th. The exhibition will detail the natural history of Florida through Trappman’s compelling paintings, artifact replicas, fossils, and examples of the resources utilized by ancient Native Americans. Obscured by Time offers a glimpse of early Florida, its native peoples and geography prior to European contact in the 1500s. A self-taught artist, Trappman’s work explores the life of Florida’s early peoples and is based on artifacts, fossils and other archeological evidence found along the shores of Florida. Times: Daily 10:00 a.m. to 5:00 p.m. The 2nd Monthly Hula&apos;s Boat Hop will be on Saturday, July 10th starting at 8 p.m. on the dock next to the newly remodeled and expanded Dukes Bar. Hula Bay, one of the few waterside venues in Tampa and is located at 5200 West Tyson Avenue off Westshore, South of Gandy. There will be complimentary valet parking, live entertainment, no charge for overnight boat slips, a DJ by the pool beginning at 1 p.m. and a full menu will be available. The next one will be on August 21st. 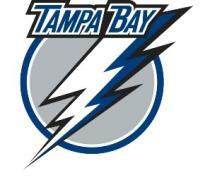 The Tampa Bay Lightning will hold their annual player development camp at the St. Pete Times Forum July 10-14. The camp will feature 31 players and include two sessions per day. All on-ice sessions will be open to the public. The camp will culminate on July 14 with the Young Guns Game, a prospect scrimmage and fan event. Among the 31 players attending the camp are former first- round picks Ty Wishart, Carter Ashton and Brett Connolly as well as second-round picks Scott Jackson, Richard Panik and Dana Tyrell. Highly touted prospects Dustin Tokarski, Jaroslav Janus, Alex Hutchings and Mark Barberio are also expected to attend the camp. The players will partake in a number of various activities away from the ice as well, including presentations on strength and conditioning, nutrition and others. On Monday, July 12 they will also attend a luncheon with team supporters and participate in community service initiatives that afternoon. The camp will conclude on Wednesday, July 14 with the Lightning’s Young Guns Game. Doors for the event will open at 5:30 p.m. with the game getting underway at 6 p.m. The contest will feature two 20-minute periods with a shootout challenge at the end. Following the game fans will have the opportunity to participate in a question and answer session, get autographs from all the prospects involved in the camp and watch the Lightning Hockey Night radio show broadcast LIVE from the XO VIP Club from 7-8 p.m. They will also have the chance to enter to win exciting Lightning prizes and more, while ThunderBug and the Bolt Brigade will be on hand to entertain. Talent Quest Florida is a karaoke singing competition for teens and up! and 50-And-Over. Winners of Talent Quest Florida (one male and one female from each category) get paid entry; air fare and hotel stay at the national Talent Quest Karaoke competition in Laughlin, Nev., in September! Price: Friday & Saturday July 9-10, 2010- $15 per day. Sunday, July 11, 2010- $30 per day. In honor of their semi-final appearance and as a welcome to Tampa, Splitsville luxury lanes and dinner lounge will be hosting a World Cup watch party this Saturday at 2pm for the Crew and Cadets of the Capitan Miranda – Uruguay’s Tall Ship. The match between Germany and Uruguay will kick-off at 2:30 pm on Saturday so stop by Splitsville Lanes in the Channelside Entertainment Complex and meet the crew while watching the match! The Channelside courtyard will have live entertainment from 11am-2pm with locals and visitors coming down to show their support for the World Cup Final match between Spain and the Netherlands, as well as the US Bid to Host the World Cup in 2018/2022. At 2pm, step inside any of the fine establishments here at Channelside and enjoy watching the game in the cool AC! Enjoy your weekend and check back with me next Thursday for another Weekend Events update.